420mm (16.5") Heavy duty steel chassis. Comfortable upturned handles, Two piece lower handle for easy catcher access, cut & catch options. 420mm (16.5") Heavy duty steel chassis. 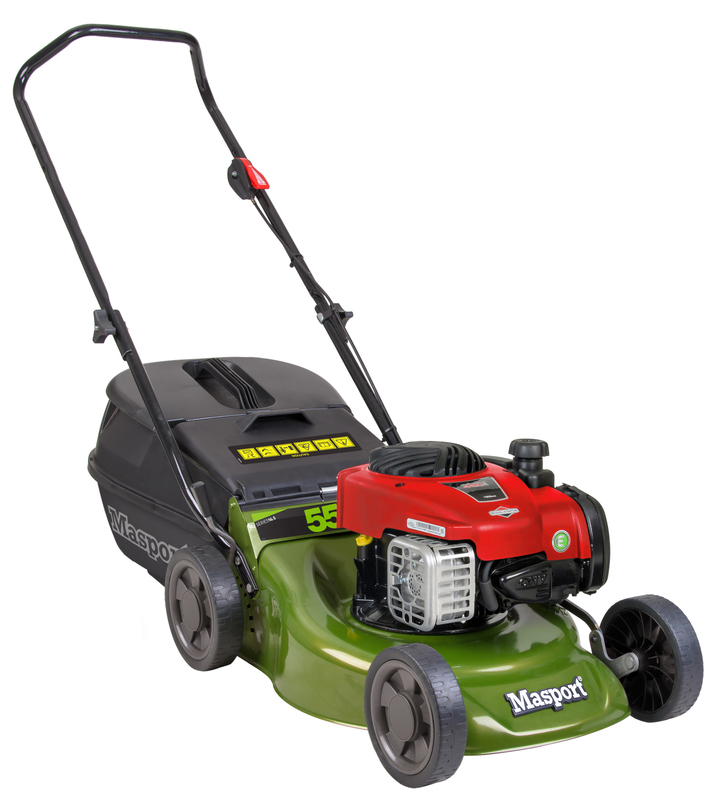 Comfortable upturned handles, Two piece lower handle for easy catcher access, cut, catch & mulching options. 460mm (18") Heavy duty steel chassis. 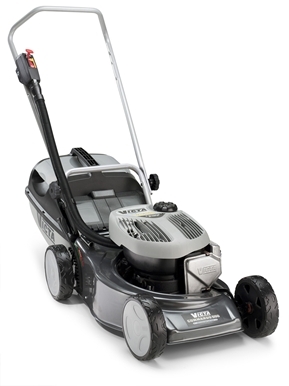 Comfortable upturned handles, Two piece lower handle for easy catcher access, cut, catch & mulching options. 485mm (19") Heavy duty steel chassis. 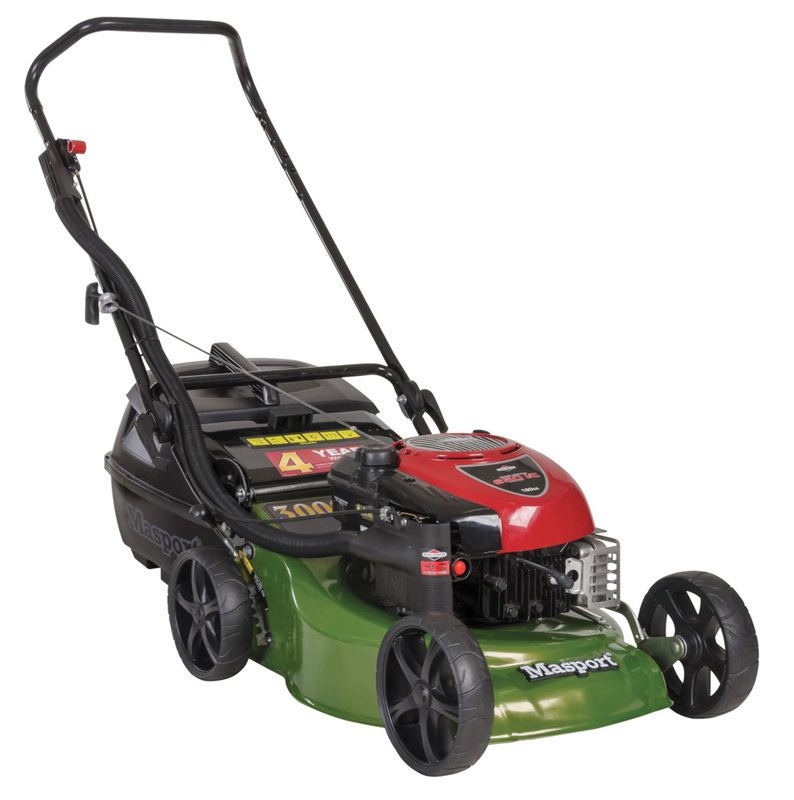 Comfortable upturned handles, Two piece lower handle for easy catcher access, cut, catch & mulching options. 8" Adjustable Dual Bearing Front & Rear Wheels. 485mm(19") Heavy duty steel chassis with 4 Blade cutting disc, Comfortable upturned handles with PVC grip, Handle lift system, Cam locks for quick release handle fold down, 8" Adjustable Dual Bearing Front & Rear Wheels, Cut, Catch & Mulching options. 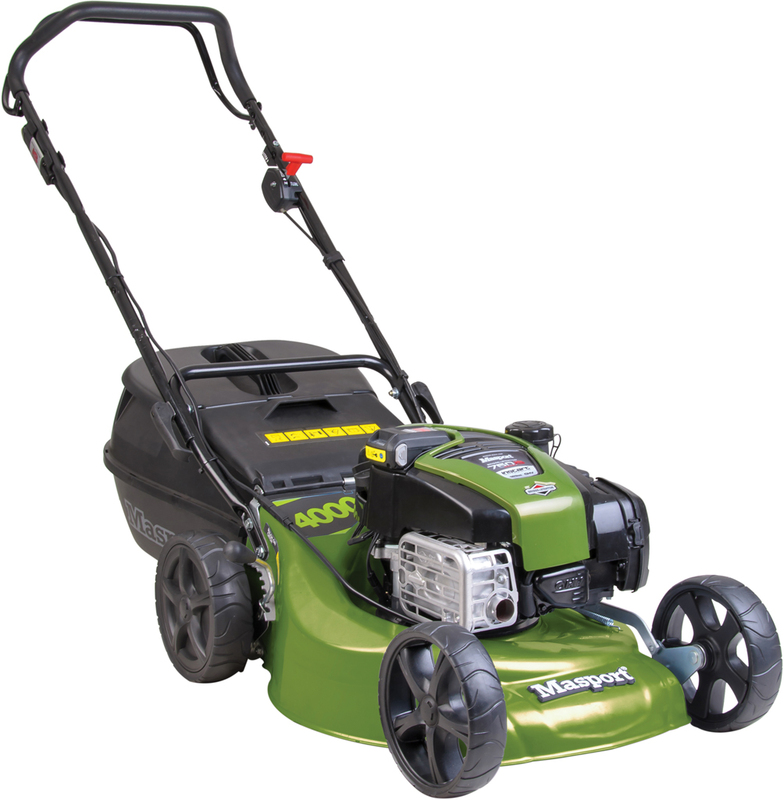 485mm(19")Heavy duty steel chassis with 4 Blade cutting disc, Comfortable upturned handles, Reinforced lower handle for added strength, Cam locks for quick release handle fold down, 8" Adjustable Dual Bearing Front & Rear Wheels, Zone start for comfortable starting position, Cut, Catch & Mulching options. 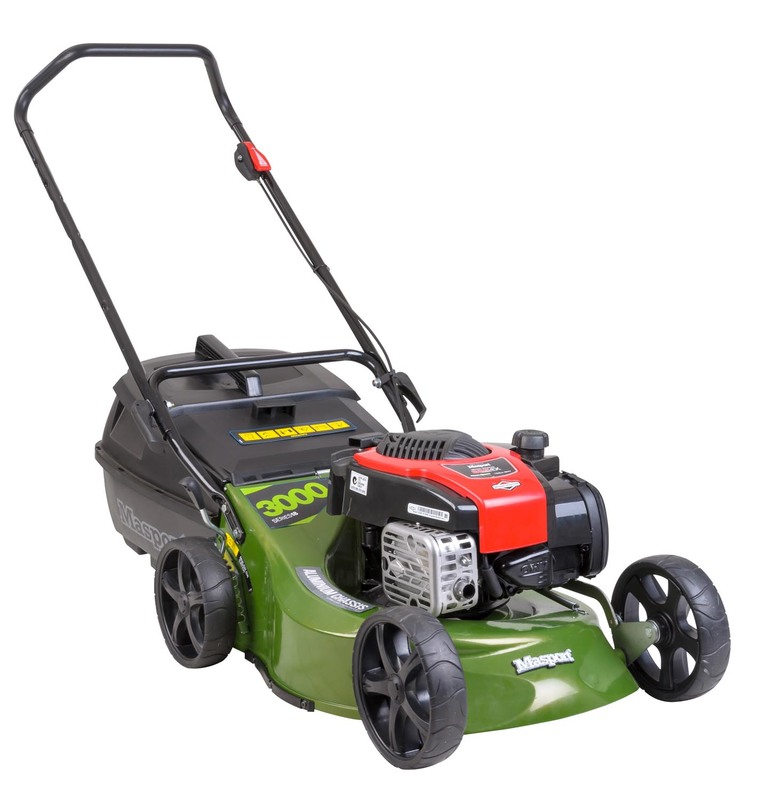 485mm (19") Heavy duty steel chassis with 4 Blade cutting disc, Comfortable upturned handles, Reinforced lower handle for added strength, Cam locks for quick release handle fold down, 8" Adjustable Dual Bearing Front & Rear Wheels, Zone start for comfortable starting position, Cut, Catch & Mulching options. 460mm (18") Heavy duty alloy chassis with 4 Blade cutting disc, Comfortable upturned handles, Reinforced lower handle for added strength, Cam locks for quick release handle fold down, 8" Adjustable Dual Bearing Front & Rear Wheels, Cut, Catch & Mulching options. 460mm(18") Heavy duty alloy chassis with 4 Blade cutting disc, Comfortable upturned handles, Reinforced lower handle for added strength, Cam locks for quick release handle fold down, Smartchute for side discharge, 8" Adjustable Dual Bearing Front & Rear Wheels, Zone start for comfortable starting position, Cut, Catch, Side Discharge & Mulching options. 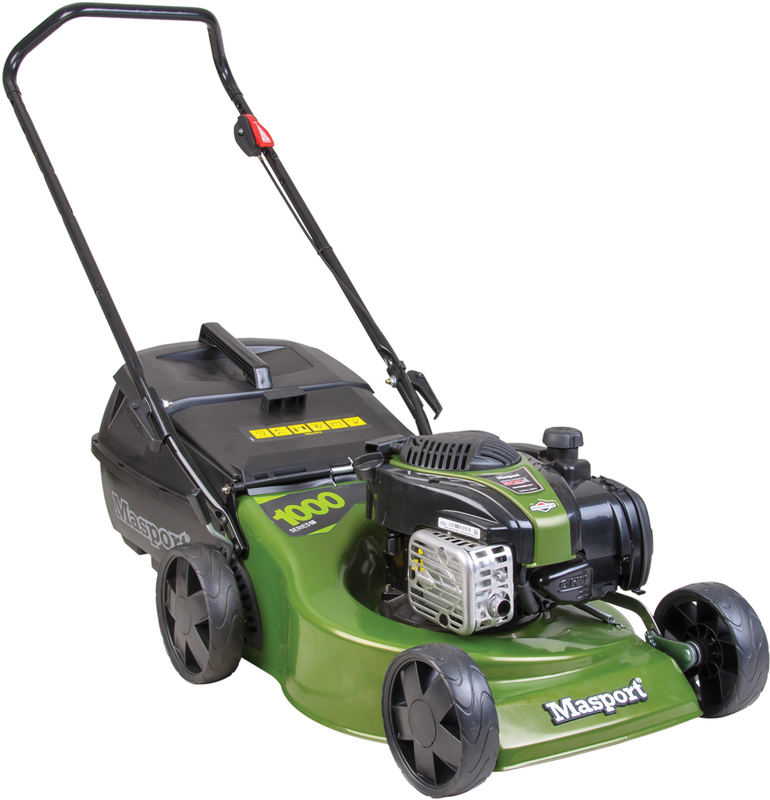 485mm(19") Heavy duty alloy chassis with 4 Blade cutting disc, Comfortable upturned handles,Steel rear flap, Cam locks for quick release handle fold down, Smartchute for side discharge, 8" Adjustable Dual Bearing Front & Rear Wheels, Zone start for comfortable starting position, Cut, Catch, Side Discharge & Mulching options. 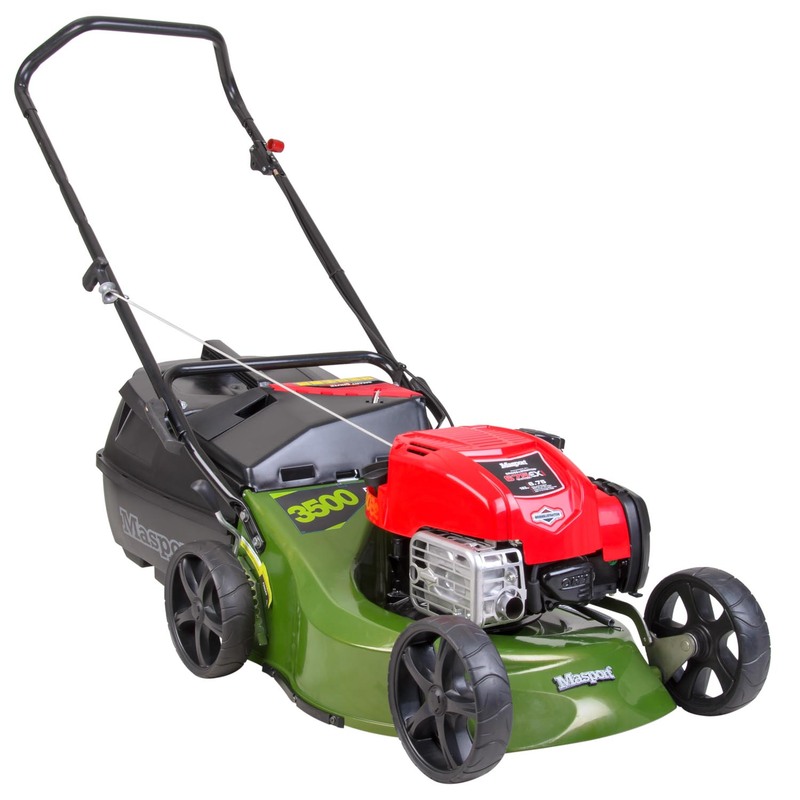 458mm(19") Heavy Duty steel chassis with 4 Blade cutting disc, Comfortable upturned handles, Reinforced lower handle for added strength, Cam locks for quick release handle fold down, Instart lithium-ion push button electric start, 8" Adjustable Dual Bearing Front & Rear Wheels, Zone start for comfortable starting position, Cut, Catch, Side Discharge & Mulching options. 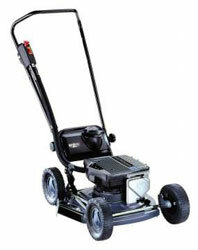 458mm(19") Heavy Duty steel chassis with 4 Blade cutting disc, Comfortable upturned handles, Reinforced lower handle for added strength, Cam locks for quick release handle fold down, Single speed self propelled, Push button lithium-ion electric start technology, 8" Adjustable Dual Bearing Front & Rear Wheels, Cut, Catch, Side Discharge & Mulching options. 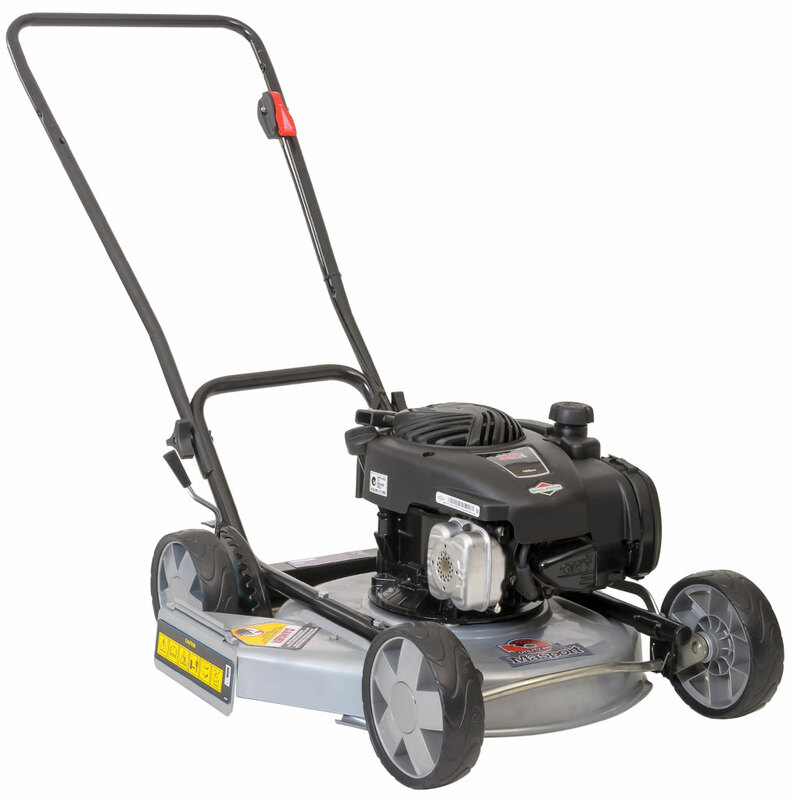 Heavy duty 460mm (18") steel chassis, 7-inch Adjustable Dual Bearing Wheels, Reinforced lower handle for added strength, side discharge only model. Heavy duty 530mm (21") steel chassis, 8-inch Adjustable Dual Bearing Wheels, Reinforced lower handle for added strength,Upturned upper handles with PVC grip, side discharge only model. 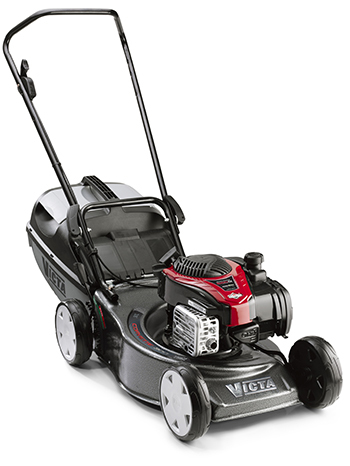 The Victa Corvette 18 2-Stroke is an affordable mower ideal for small to medium lawns. Made of all pressed-steel, the cutting deck has been designed for superior cut & catch capabilities. 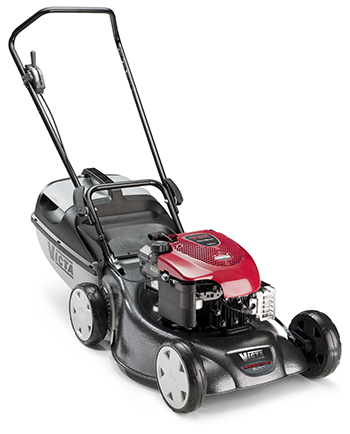 The Victa Corvette 100 is a premium mower ideal for small to medium lawns. Made of all pressed-steel, the cutting deck has been designed for superior cut & catch capabilities. The Victa Corvette 200 is ideal for small to medium lawns. 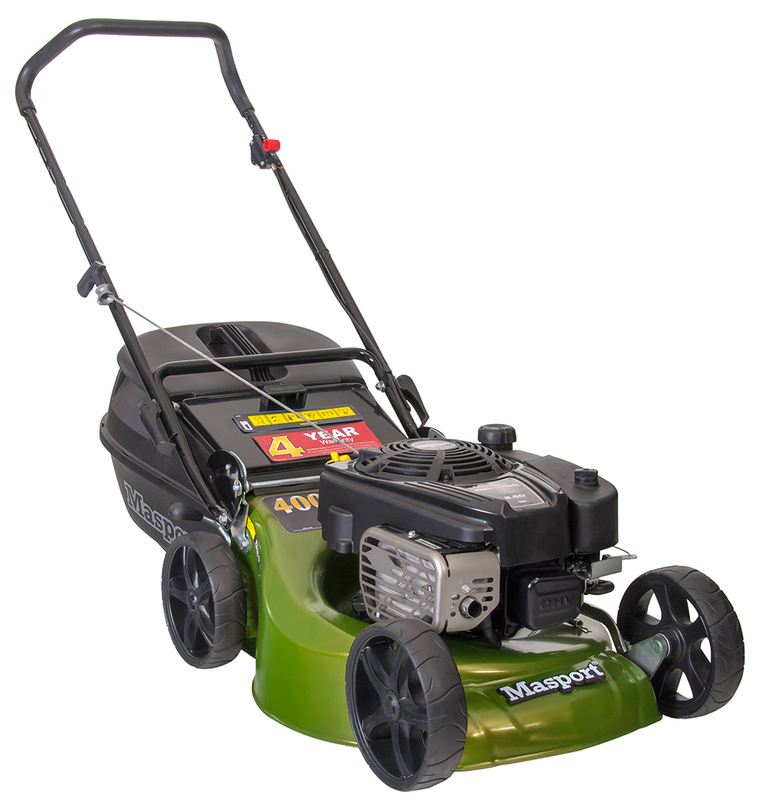 Made of all pressed-steel, the cutting deck has been designed for superior mulch & catch capabilities.Comfort grip handles with lower loop. 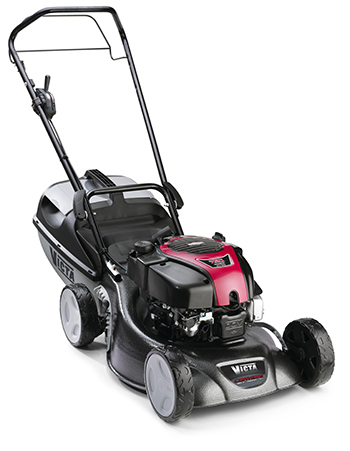 The Victa Corvette 300 is ideal for small to medium lawns. Made of all pressed-steel, the cutting deck has been designed for superior mulch & catch capabilities.Comfort grip handles with lower loop. 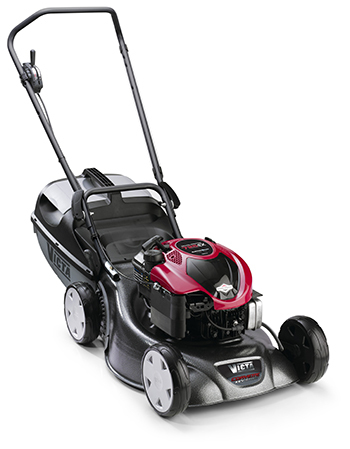 The well designed Victa Corvette 500 mulch or catch mower offers performance cutting and mulching power. Reliable, feature packed, the Corvette500 mulch or catch is ideal for medium to large lawns. 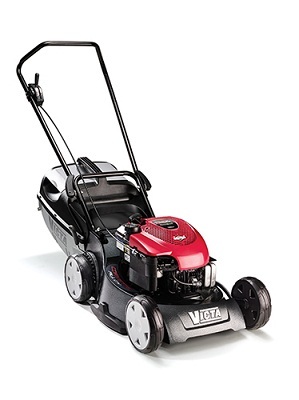 The Heavy Duty designed Victa Corvette Alloy mower offers performance cutting and mulching power. 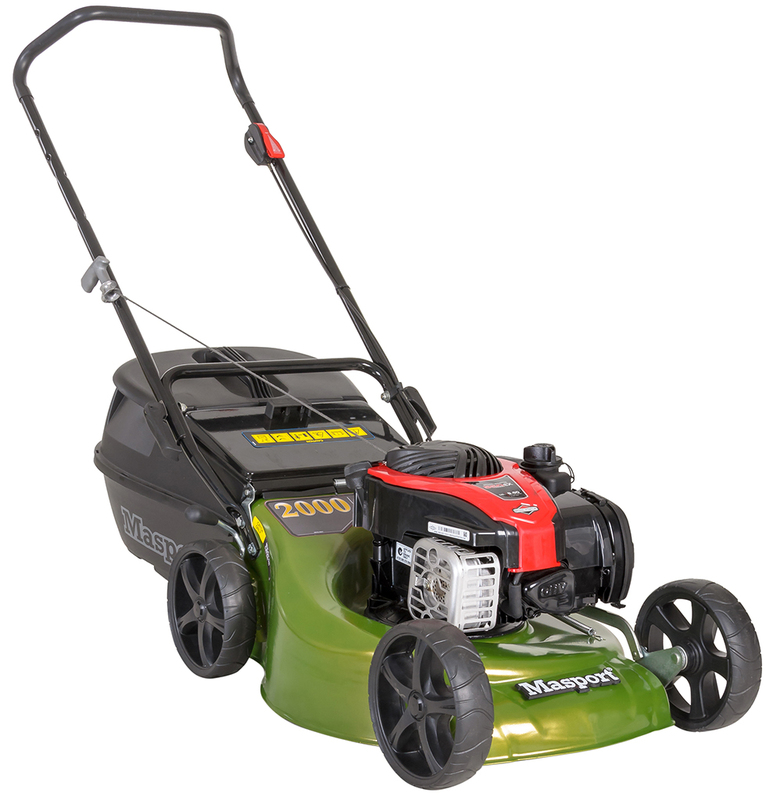 Reliable, feature packed, the Corvette Alloy is ideal for medium to large lawns. 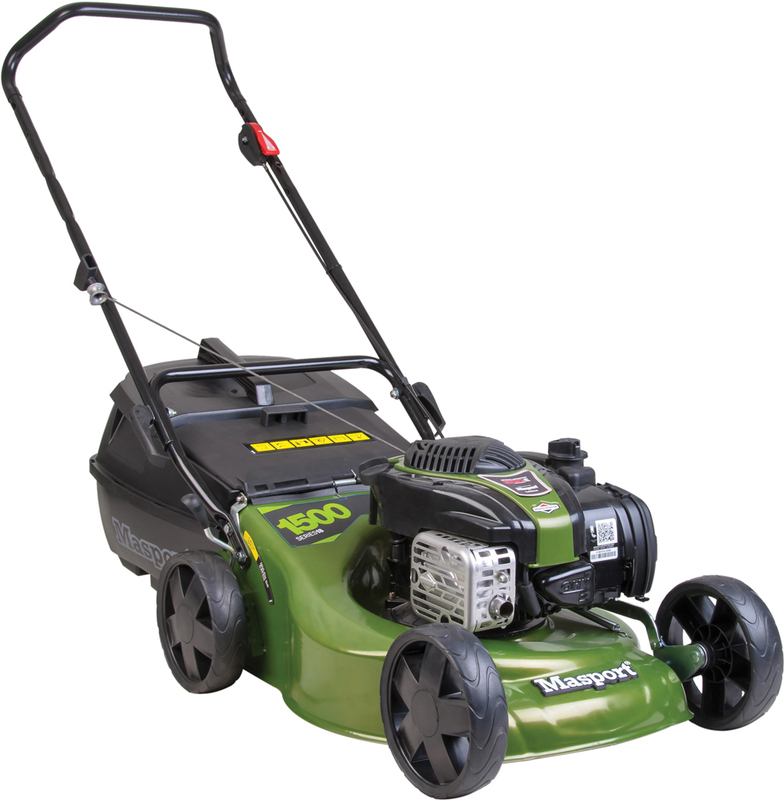 This self propelling function makes mowing large or sloping blocks a breeze, while you can disengage the clutch to attend to those tight or tricky areas. 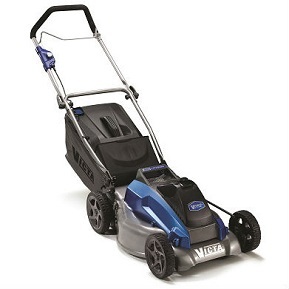 This feature rich, mulch or catch mower offers exceptional value for money. Victa's patented mulching disc system & plug can reduce mowing time by 40%, while providing additional nutrients for your lawn and reducing evaporation - which is so important in today's environment. 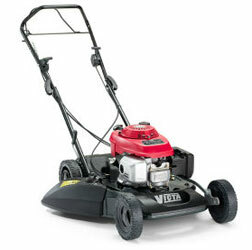 The Corvette Key Start is ideal for medium to large lawns with the added advantage of key start. 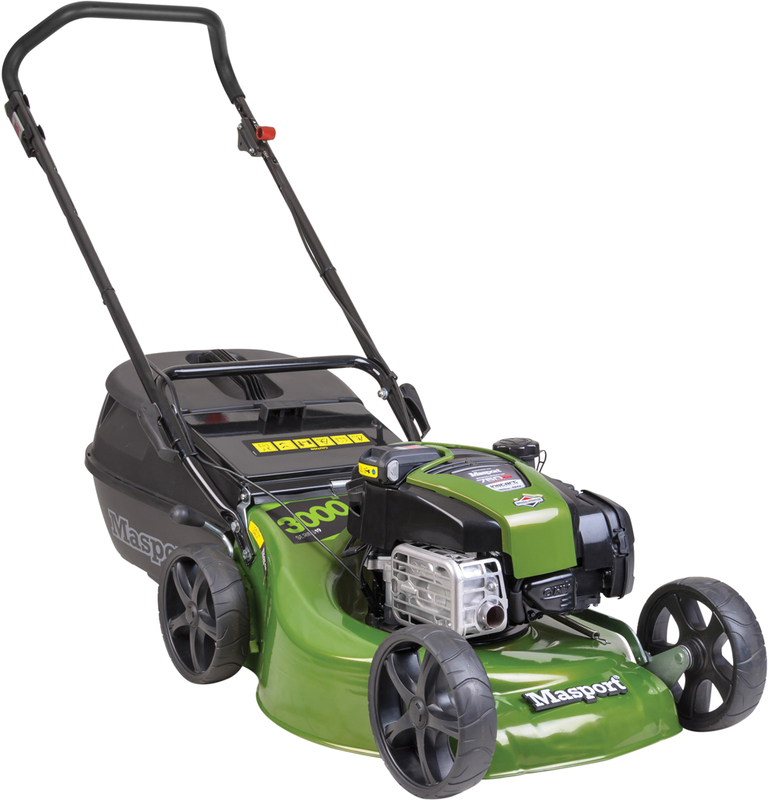 This innovative and versatile mower produces no exhaust emissions and starts with the push of a button thanks to its 40 Volt Lithium-ion battery and brushless electric motor. That also means there’s no electric cables to get tangled or run over. 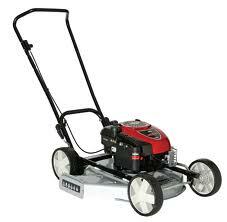 Mulch plug and 18" durable steel cutting deck for all mowing conditions. The Victa Mulchmaster 560 has been designed from the ground up for demanding professional use, incorporating a rib-reinforced cast alloy deck for maximum strength with minimal weight and sophisticated air-flow dynamics to ensure efficient mulching or side-throw discharge.